A Finnish girl sent me this beautiful postcard last September. 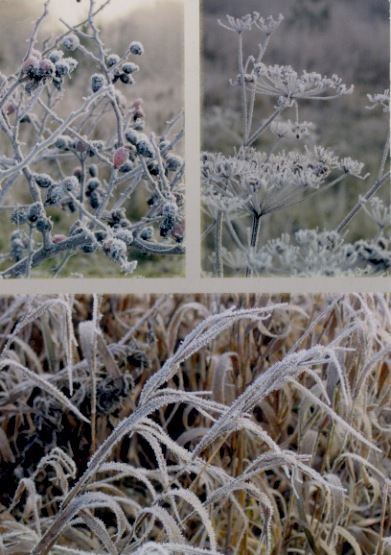 I like this postcard because the frost on the plants carried the crisp air of the early winter which enabled me to feel the fresh scent of the wood in Finland. It’s simple, but definitely has an excellent quality. Another reason that this is one of my favorites is I like her blog. After receiving this wonderful postcard, I checked on the sender’s profile and found out that she had a personal blog. There seemed nothing of special interest at first, but the details of a Finnish girl’s ordinary life were interesting enough for me to be a regular reader of her blog to this day. One time she wrote that her readings are 90% English, which I assume makes her writings very natural. Her blog inspired me to write more in English, believing there might be someone in the world who thinks my ordinary life interesting. I received a thank you note from a Russian girl via email saying that she received my postcard this morning. It took 121 days from Japan to reach Russia. I thought it was lost! There must be something wrong with the Russian postal system. It took 70 days for another Russian to receive my postcard while a postcard to Finland took only 5 days to reach its destination. On the other hand, postcards from Russia usually take 10 to 20 days to reach me. These postcards were for Postcrossing, a postcard exchange website, so the length of time it takes even adds some fun for Postcrossers. But what about business mails? I don’t think it’s a good idea to correspond with Russians via snail mail. I’d rather believe that my postcard must have traveled all over the world at least 5 times before it finally reached Russia than to assume it was left behind on a lazy Russian post officer’s desk all this time. Life is full of surprises, especially if you are a Postcrossing member. I’ve been enjoying exchanging postcards with strangers for about 7 months, and one of the weirdest things happened this week. I’ve been watching History videos on Khan Academy for a while. I started out with the French Revolution, and then proceeded to American history. I watched “Jamestown to the Civil War” and “Lincoln’s Assassination” this week. I learned that Lincoln played an important role in the Civil War, but he couldn’t make it to the end of the war. What is more, this week’s book club chapter addressed “Presidents Day”, by chance. We read that Presidents Day was enacted to honor the birthdays of Washington and Lincoln. How timely it was to stumble upon Lincoln twice in one week! So, you could imagine how spooked I was when I found a postcard that depicts Lincoln in my mailbox later on that week. The gaunt, monochrome Lincoln really freaked me out! The American lady who sent me the postcard explained that she chose that particular card because he is important. 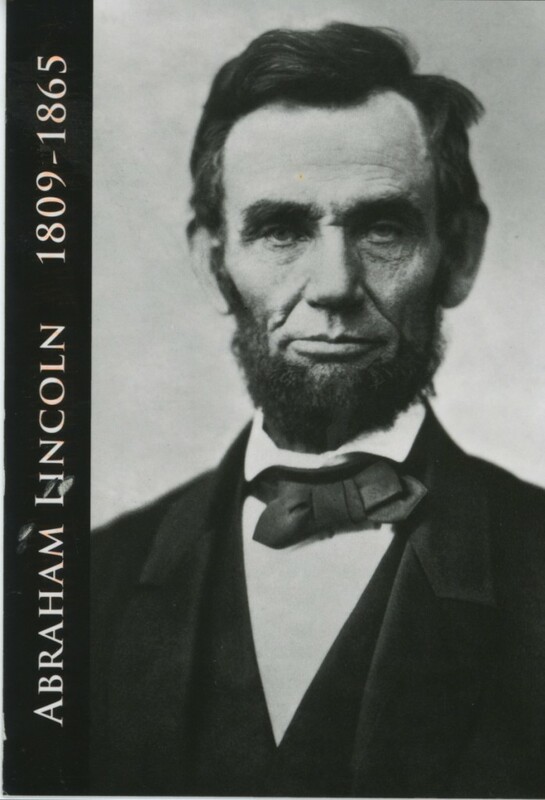 The chance of receiving the Lincoln postcard in that timeframe would be astronomically small considering the fact that according to the Postcrossing statistics, 335,374 postcards are travelling at this exact moment, and most of them are scenic ones. I can’t help but think that this was Lincoln’s doing. He must have had something to get through to me, otherwise, he wouldn’t have bothered to visit my mailbox all the way beyond time and space. I tried hard to decipher the message, but to no avail, so instead, I decided to read a book about him. It might be like the “Jesus on a Tortilla” thing, but why not make the most of the opportunity? Life is full of fun and surprises when we are open to new possibilities. This is the postcard… Isn’t he a little bit spooky? My new writing plan this year is to write about Postcrossing. Every postcard has a story to tell. Ever since I started Postcrossing, and exchanging postcards from all over the world, I’ve sent 90 postcards and received as many postcards as I sent. 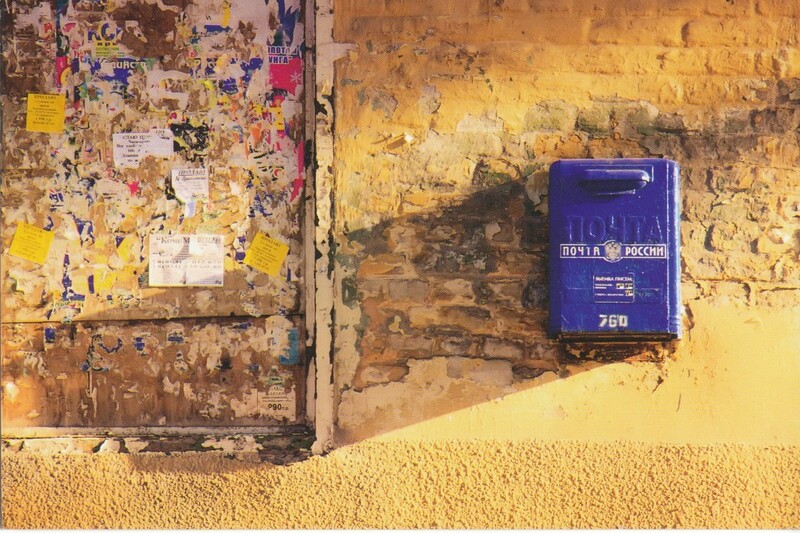 Some senders only wrote “Happy Postcrossing” which is boring and seems heartless, but most of the people write about their lives, hobbies, favorite books and songs, and so many interesting things. Also, the picture they picked out for me made me realize what kind of things I really liked. I’ve never realized that I like scenery that stretches as far as the horizon before I received some postcards with the horizon on them. As Japan is a small country, where three-quarters of the land is mountainous or hilly, I don’t see the horizon where I live. 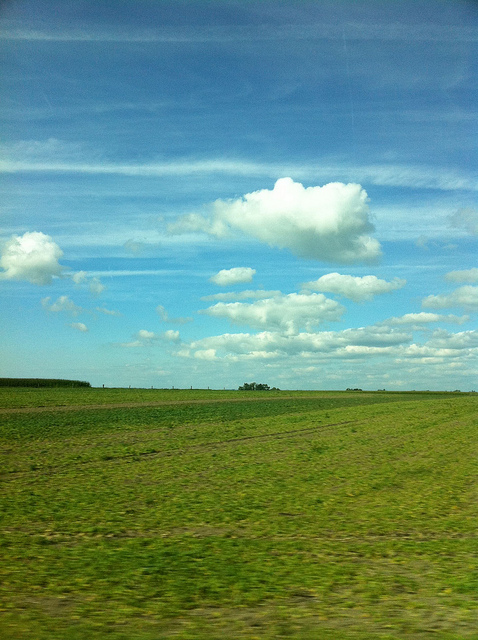 That’s why I like postcards which show the horizon. Sharing these experiences on my blog would be nice, and also give me a lot of opportunities to write. I hope there is something interesting to write every day this year. When I got home from Hokkaido, I found two postcards from Postcrossing. They were from Germany and Italy. The person from Germany sent me a postcard with a dog and a soccer ball. She must have chosen the card because the FIFA Women’s World Soccer Games are held in her country. She wrote that the German team lost the game against the Japanese team, but she admitted that the Japanese team was much better. She wrote that she is also a big fan of audiobooks. I felt a warm feeling sweep over me from the card. It was amazing we could share common experience by postcard. The other postcard was from a man near Milan. 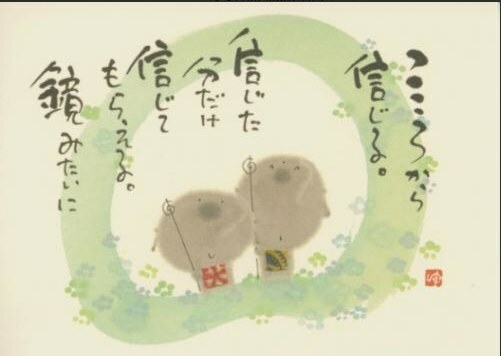 He wrote several Japanese words in that postcard. His wife happened to live in Japan for two years, and she also stayed in our city. She liked my city a lot, and they were glad that they had a chance to write a person related to her fond memory. He chose a card with a magnificent cathedral on it. He was kind enough to choose the card for me because I wrote in my profile that I love cathedrals. Ever since I read “The Pillars of the Earth”, I am fascinated by cathedrals. It’s amazing how ancient people built the elaborate buildings without machines. It must have been a tremendous amount of work to cut stones, carry them to the building site, and pile them up with perfect precision. I’m grateful to receive postcards with cathedral’s pictures from all over the world, because I won’t have a chance to visit every cathedral on earth. I feel the world becomes closer as someone far from my city has something in common, shares feelings, or tells about their lives on postcards.